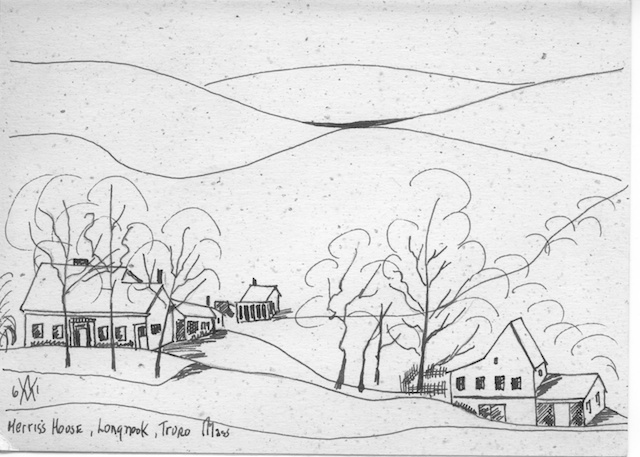 Longnook Meadows Farm’s history begins in the 1700’s. It is situated in an area that was part of the Pamet Lands dating from 1709. A group of five men from Eastham acquired some of the land from Boundbrook Island in Wellfleet all the way to Pilgrim Lake, a parcel from Eastham, and the balance from the Pamet Indians, also known as “The People of the First Light.” This group called themselves the Pamet Proprietors. The most active member was Thomas Paine. Thomas Paine’s family lot extended from Cape Cod Bay to the ocean including the North Branch of the Pamet River and Longnook Hollow. Thomas Paine settled in this area and his brother Jonathan Paine built the first house in Longnook Hollow in 1710. Over the years the Paine family sub-divided this large track of land in order to build new homes and provide farmland for an expanding family. Thomas Paine established the first wind powered gristmill in Truro in 1745. Future generations did some farming, but their principal profession was as provisioners. They would buy product wholesale in bulk from Boston and then distribute the products by wagon and from their store in Longnook Hollow. What remains today at 12 Longnook Road is a small part of a much larger farm that was passed down through the years eventually to Daniel S. Paine in 1864. Both Daniel and his father were provisioners. In 1941, Daniel S. Paine, decided to retire and join his brother in Brockton. 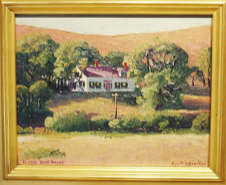 He sold the farm house, out buildings and 25 acres to William E. Merriss, a neighborhood lad who had been mowing his lawn and who had always loved the house. This was the first time in 250 years that this property went out of the hands of the Paine Family. Over the years, William Merriss sold off piece of land to the National Park Service and private individuals. In 1982, William’s daughter, Dilys Merriss Staaterman and her husband Peter Staaterman purchased the farm. In 2002, an updating and restoration program was begun with the objective of making the buildings usable or livable by today’s standards and to restart farming activities. Phase I was completed in 2004 and the main house became habitable on a year round basis. In 2005, Dilys and Peter retired to Longnook Road and began to plan their retirement business – farming. In 2006, land was cleared to open it up for farming activities: planting beds were established and the first fruit trees and crops were planted. In 2007, vegetable gardens were expanded; asparagus, potato and rhubarb beds were established. The Staatermans hope to restore Longnook Meadows Farm to a point where it can be a small reminder of its historical past.